Justin Oropesa’s design aesthetic takes a cue on geometric and asymmetrical cuts with supreme individuality and a hint of structure. 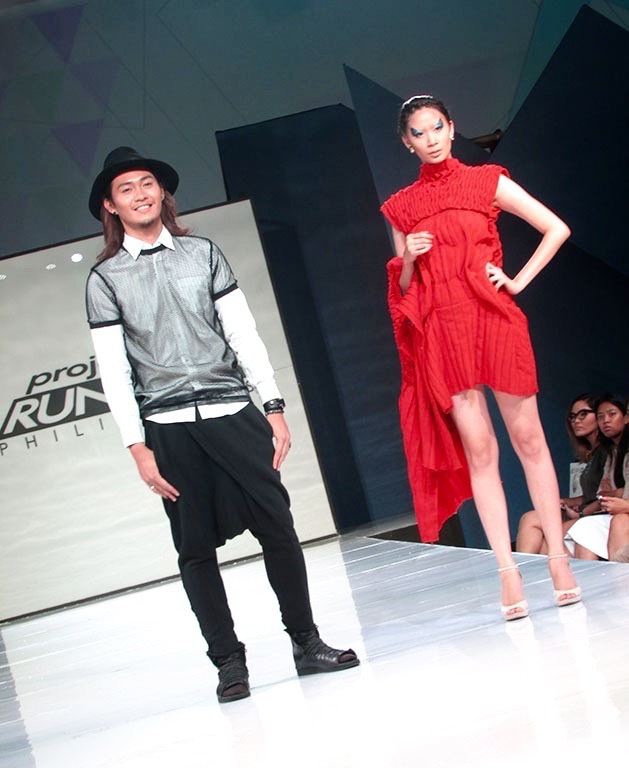 His distinct sense of style, genuine talent and focus to win the competition are apparent on his first challenge look, marking him as a strong contender in this season of Project Runway Philippines. Get to know more by tweeting and interacting with Justin @JustinPRP4 and using the official hashtag #prponetc! Catch the all new Project Runway Philippines Season Four on ETC Channel premiering this June 14, 2015, Sunday at 8:00 PM! Project Runway Philippines is produced by Solar Entertainment Corporation and Unitel Productions. Shown on ETC Channel UHF21, Sky16, DestinyDigital16, Global Destiny28, Cignal9 and Cablelink34. Much love and special thanks to Mr. Kix Garcia! "Nada en el mundo que valga la pena se ha conseguido sin pasión"